The Chateau de Canon is 2km 200m from the station. Did you know? Mézidon-Canon station has quite a history! Situated next to one of the very first railway lines in the whole of France, the community has lived for one and a half centuries in the time of the railway. 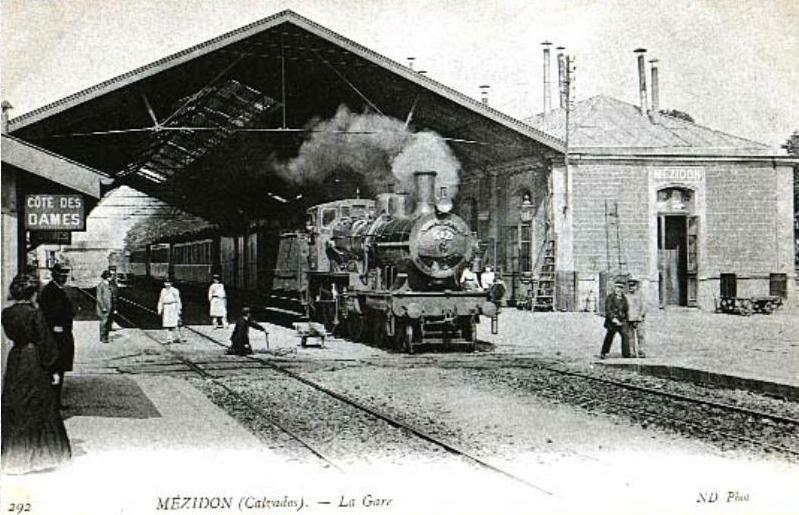 After welcoming Napoleon III and Empress Eugénie for the opening of the Paris – Cherbourg line in 1858, Mézidon-Canon saw further development with the advance of rail transport. It housed a marshalling yard for the seaside resorts of Manche and became a town of railway workers, as here were the SNCF carriage repair works. More recently, connections with Paris, Cherbourg and Le Mans have been modernised, but today of the former rail operations from Mezidon-Canon a business dynamism continues and a tradition of hospitality inherited by the Hotel Saint Pierre. This establishment thus combines its unique character with its pivotal position between the great plain of Caen and the first foothills of the Pays d’Auge.